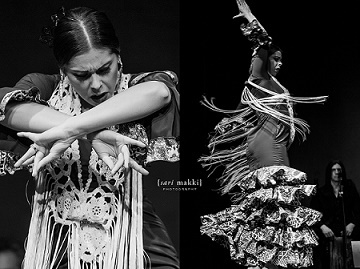 World-renowned Flamenco dancer Inmaculada Ortega presents a superb showcase for the first of two sensational back-to-back weekend shows at the Grand Annex! 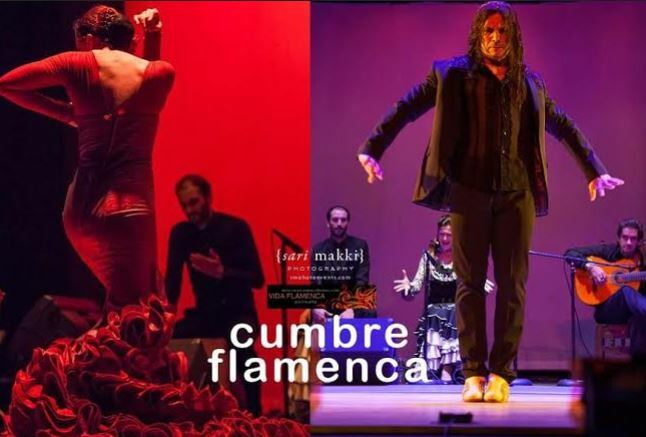 The Andalucía region of southern Spain will be warming up the city of San Pedro with the highly anticipated ‘Cumbre Flamenca’ (Flamenco Summit) show for the first of two special evenings of spellbinding music and dance featuring internationally renowned flamenco dancers along with special guest artists. 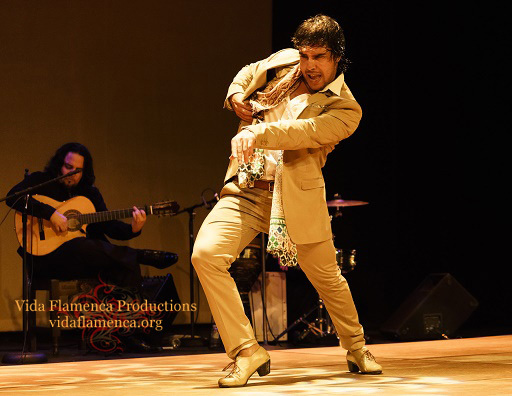 Enjoy the highest level of Flamenco artistry from Spain for a performance from the soul of Andalucía along with some of Southern California’s finest! 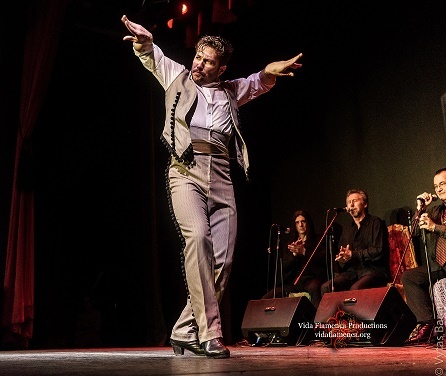 Vida Flamenca continues with a Special Edition of ‘Cumbre Flamenca’ with added guest dancer Emilio Ochando direct from Madrid for a sensational evening of Classical Spanish and Flamenco Dance. Exquisite Spanish dancer Emilio Ochando joins Inmaculada Ortega along with special guests for our final weekend of stunning performances. A phenom from the Real Conservatorio Profesional de Danza, Emilio has soloed with Ballet Nacional de España, , Nuevo Ballet Español (Rojas Y Rodríguez), Aida Gómez and Ballet Nacional de Cuba. Mr. Ochando joins us for one performance only in Southern California. These performances are being presented by Vida Flamenca. Our goal, 16 years ago began with a small group of international artists with a focus of cultural exchange, fostering the next generation of Spanish dance artists. Now as a California-based 501 (c) 3 non-profit, we are dedicated to advancing and preserving Spanish dance and music traditions. Ongoing programs increase awareness of Spanish culture through educational workshops, and performances. His feet strike the stage like bolts of lightening, his hands whirl like gusts of wind — Ivan Vargas is less a flamenco dancer than a force of nature. Intensity does not come in any more potent package than this famed Spanish performer, whose piercing gaze alone has more energy than an entire troupe of lesser dancers. Now Vida Flamenca Productions brings Vargas’ new show Savia Nueva (New Blood) to Hollywood for one night only. Be there as this descendant of the fabled Los Maya flamenco family brings true flamenco direct from the caves of Andalusia to you. IVÁN VARGAS, also known as “La savia nueva de El Sacromonte” (the new blood of the Sacromonte) was born in Granada in 1986 into one of the strongest family trees in the flamenco world – Los Maya– which includes such renowned artists as Mario Maya and Manolete. 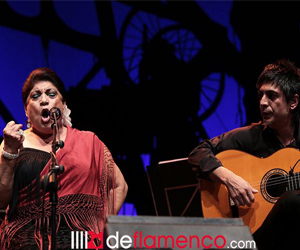 Presenting the best from Spain and the U.S., ‘Cumbre Flamenca’ gives a performance from the soul of Andalucia with an intoxicating variety of singing and dancing styles. Performances exude passion and mastery which offer audience members an unforgettable experience. Shows feature traditional through contemporary programming of the highest caliber. Considered one of Spain’s premier flamenco dancer and choreographers, Domingo Ortega brings an intense artisty to every performance. In conjunction with Santa Barbara dancer and teacher Daniela Zermeño, and members of the Zermeño Dance Academy they bring with them the highest level of spirit and dedication to this art. The seductive choreography, vibrant costumes, and passionately expressive music will hold one breathless. 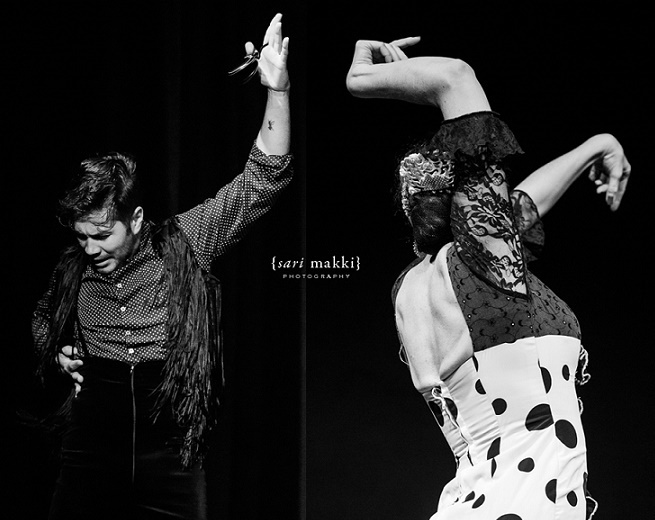 A unique combination of music and dance with gypsy, Jewish, Arabic, and Indian influences, ‘Cumbre Flamenca’ features deeply emotional dances that are sometimes solemn and sometimes joyful. Within the repertoire you will find the deep song or ‘cante jondo’ of the Seguiriya, the graceful Alegria, an uplifting Solea por Buleria, to the traditional fun and light-hearted Bulería. 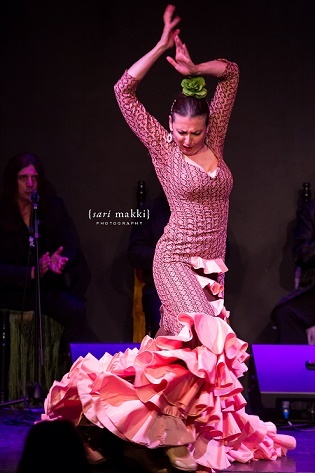 Flamenco has never been more popular in Spain and abroad than it is today with a new generation of flamenco performers who have broadened flamenco’s appeal to an international audience. Flamenco is an evolving art, restless, never static for long, always preserving the past, yet looking expectantly toward the future. Daniela Zermeno was born and raised in Santa Barbara and began dancing at the age of 4, studying flamenco at a local dance studio. Her love for this passionate art form pushed Daniela and her family to travel to Los Angeles throughout her childhood, to study with numerous professional dancers and instructors such as Domingo Ortega, Alfonso Losa, Concha Vargas, Nino de los Reyes, Concha Jareño, Adela Campallo, Pastora Galván and Roberto Amaral. She began her career at 8 years old, performing professionally under the direction of LA’s renowned flamenco instructor, Roberto Amaral. Through her young career Daniela danced in countless theater productions, restaurant shows, private events, commercials and instructional videos and traveled to perform in places such as Mexico, Texas, San Francisco and Los Angeles. At age 12 Daniela had a strong desire to teach flamenco classes and quickly pulled together her first group of students to form her studio “Zermeño Dance Academy” (formerly known as “Fuego Gitano”). Throughout Jr. High and High school, Daniela successfully ran a flamenco dance studio while also studying jazz, hip hop lyrical to expand her knowledge of dance. As Daniela’s passion for dance has evolved over the years, so has her business. Her dance studio, Zermeño Dance Academy, has grown tremendously through the years and is now comprised of 150 dancers studying in several different genres. 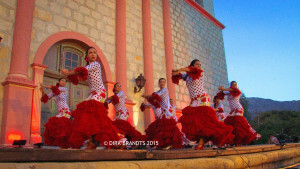 In recent years over 25 of Daniela’s students have been chosen as finalists in the local dance competition representing Santa Barbara and Old Spanish Day’s Fiesta! This past fall, Daniela was asked by the Old Spanish Days organization both to participate in and prepare choreography for the dancers representing Old Spanish Days and Santa Barbara in the 2015 Tournament of Roses (Rose Parade) in Pasadena, CA. Today, she continues to prepare numerous finalists for the audition each year along with teaching flamenco classes, privates and Masterclasses in her own studio Zermeño Dance Academy. Daniela was honored to be a part of Vida Flamenca’s Mentorship Program featuring flamenco dancer and choreographer Domingo Ortega in her Santa Barbara studio. 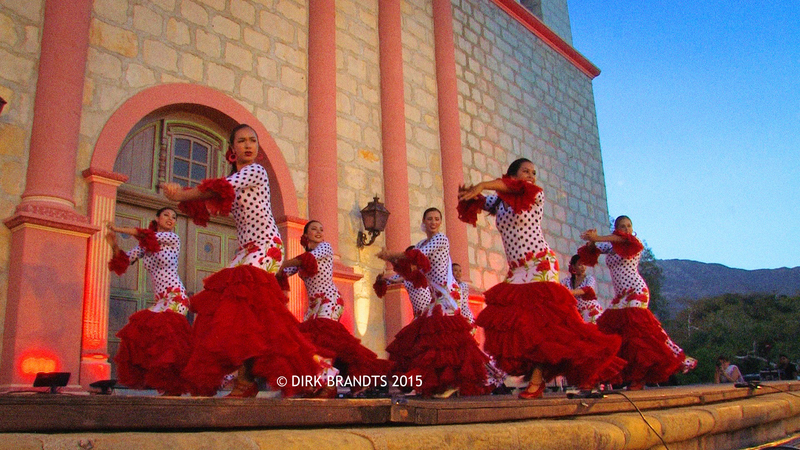 Daniela along with her student dancers including ‘Spirit of Fiesta’ 2015 winner Alex Freres participated in a Santa Barbara company performance in the ‘Cumbre Flamenca’ show with special guest artist Domingo Ortega in March of 2015. The 2016 winners Alexis Simentales, Spirit of Fiesta and Sarah Naretto the Junior Spirit both participated in multiple day workshop classes with Maestro Domingo Ortega and sister Inmaculada Ortega.